Welcome to our quarterly newsletter page, The Analyst! On this page you will find links to our quarterly newsletters and exciting blurbs from past events we played an integral part in throughout the year. 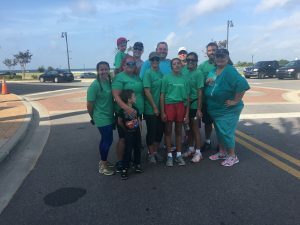 On May 08th, 2017, our FTS Pensacola Clinic Team participated in the NAMI Pensacola Walk event. 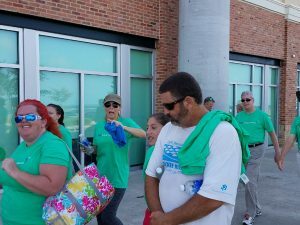 Teamwork is at the heart of the mission of NAMI Pensacola and our team was proud to participate. Mental Health Month started 68 years ago by Mental Health America, to raise awareness about mental health conditions and the importance of good mental health for everyone. Last year, Mental Health Month materials were seen and used by 22.3 million people. In this year’s May is Mental Health Month, we encourage people to educate themselves about behaviors and activities that could be harmful to recovery – and to speak up without shame so that others can learn if their behaviors are something to examine. 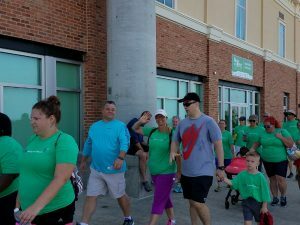 Raising awareness helps us to speak up, to educate without judgement, and to share your point of view or story with people who may be suffering – and help others figure out if they too are showing signs of a mental illness. For more information on May is Mental Health Month, visit Mental Health America’s website at http://www.mentalhealthamerica.net/may .